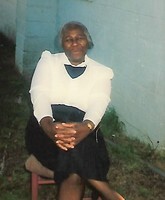 Provide comfort for the family of Mrs. Pearl Walker with a meaningful gesture of sympathy. We encourage you to share your most beloved memories of Mrs. Pearl here, so that the family and other loved ones can always see it. You can upload cherished photographs, or share your favorite stories, and can even comment on those shared by others. Eli W Sullivan Jr, Albert C Humphrey Jr., and others have sent flowers to the family of Mrs. Pearl Walker. I am sorry to hear about the loss of your dear loved one. Please accept my condolences at this painful time. Losing a loved one is distressing and as comfort is needed from family and friends, it is my hope your family will find comforting the promise at Isaiah 25:8 where we are assured that "death will be swallowed up forever." It is my hope your family will find strength to endure during the days ahead.